The IJ.haBu5 is the first Campionissimo Series Insulator Jacket. It replaces the Assos series element 0ne RX jacket. Focusing on the Assos core elements of fabric tailoring and know-how, the IJ.haBu5 represents the first of a new generation of Assos high performance Insulator jackets Featuring the New campionissimo racing specific pattern design and the STRATAGON family of extreme performance fabrics. With the creation of the new Assos Campionissimo line, Assos has re-engineered it's process of product creation and development. We are no longer constructing apparel In the obvious traditional way, Instead we have developed an Assos Specific method which takes a more scientific approach to how we create, develop, engineer and construct Assos apparel. The iJ.haBu5 features 18 patterns, using 6 different textiles. The front chest panel, upper arms and collar are made of Assos Stratagon Light fabric (functioning as a wind block). The sides, lower arms and back patterns feature Assos RXQ textile (active breathable heat retention) allowing effective body temperature control. The overall objective when designing the replacement of the element0ne jacket was to lower the volume and weight of the garment while increasing protection and comfort range. The "iJ.haBu5" weighs 40 grams less than the element0ne, and features a new airblock protection and additional performance enhancing details. The "iJ.haBu5" closes the gap and fits right in between the intermediateEvo and airJack. Stratagon Light is able to respond intelligently to changes in climatic conditions and body temperature, it is an ultrathin 3 layer laminated fabric construction. It features the latest in membrane technology; "flexible barrier function". When temperature is low the membrane reduces permeability, meaning the membrane closes, which helps retain body heat. As your temperature increases, the membrane opens to enhance the evaporation process, ensuring stabilization of your body temperature. Stratgon Light allows for proper body temperature management. The advantages and uniqueness of the new Assos Stratagon generation of laminated fabrics is that they get the job done faster and feature a lower volume to weight ratio than any other membrane textile currently used in cycling apparel. Assos racing garments are ergonomically shaped to fit the body perfectly in the road cycling posture. Each piece 'clicks' into position on the bike and follows your movements without restriction. Ideal for slim, athletic body types. The iJ.haBu.5 is a versatile jacket. It provides enough insulation for all but the coldest rides, and it's breathable and light enough to work well into spring, with careful adjustment of your baselayers. It's an ideal three-season jacket and the sort that can get a lot of use throughout the year. 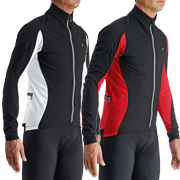 Assos iJ.haBu5 Jacket is rated 4.8 out of 5 by 29. Rated 2 out of 5 by FussyBB from Lovely material but......... I eagerly tried this jacket on and things looked and felt good from the front but then I saw the back. I was only going to keep this jacket if aerodynamics were good. In other words not baggy but a close and comfortable fit. Hence I cannot fathom why the pockets are made so baggy, all 3. Ok I might be able to fit a lot in them but I want to keep weight down and the whole jacket to be form fitting. If you can live with the pockets, great but too much bulk for me. It has to go back and my search continues. Rated 4 out of 5 by devonsteeper123 from Habu5 Autumn / Early Spring Jacket As with all Assos kit its well made using high quality materials, multiple panels, and an excellent fit on the bike. Assos do not recommend for use below 6 degrees. I would switch at that point to the full winter jacket Cento (racing fit) or mille (comfort fit), both are excellent. I like the Habu5 its a good jacket but does run a bit cold on the arms, especially in high windchill. But where it excels is on generally dry days at temperature ranges 8-14 degrees. It does shrug off water effectively like the habu tights, but is not 100% waterproof. And this is where it gets difficult because if you were only going to buy one Assos jacket the sturmprinz waterproof outer shell is a better all round jacket with greater versatility. Its 100% waterproof and with clever venting, 100% breathable. Yes it costs more but its like having several jackets in one. If you already have the other bases covered then I would not hesitate to buy the Habu5 jacket. But my own experience has been that this jacket is used less than my other assos kit. The falkenzahn gilet is the most used over all seasons, then the strumprinz outer shell, next in sub 8 degrees the full winter jacket and only then the habu 5. Local conditions dictate usage - so in wet, cool and windy Devon which about 8 out of 12 months the sturmprinz is my go to jacket. However for autumn / winter riding in southern Spain I'd want the Habu5. So as a slightly alternative perspective here. The product is a very good one - it all depends what conditions you mainly ride in. Global warming anyone ? - Keep it long enough and it could be your everyday jacket in the UK. Rated 5 out of 5 by Rjt75 from Assos ij. Habu jacket Wow, what a jacket. Extremely light and low volume, on first inspection I was convinced that it would not be warm enough but in 5'c temp. With only a base layer underneath I was very comfortable. Windproof panels on the front of the jacket are very effective, and the fit is absolutely spot on in the riding position. Excellent assos quality as expected, its the only jacket I now need. Hi, I am 96cm chest, so this suggest size small bang on. However, I am 174cm tall, which is in Medium size range. I am a short torso / long leg type person. Are the sleeves long enough to be suitable for me in size S? From the measurements you have provided me I would advise a Medium as this would be a more comfortable fit for yourself. I hope this helps. I'm 182cm, 40inch chest and 69kn. 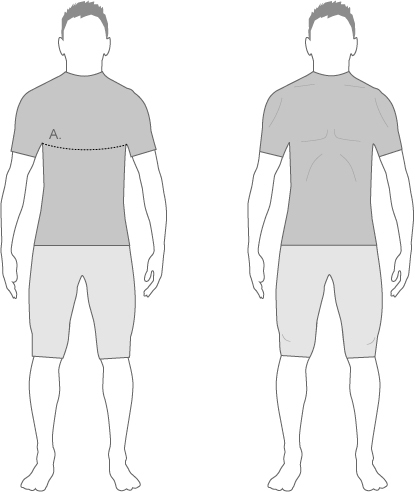 Which size would fit best for a tightish aerodynamic fit? Is this jacket water resistant or just windproof? the wind-proof panels are fairly resistant to light rain, but the coloured panels are a much thinner fleecy material, and definitely not water proof. I own other wind-proof jackets that are better if there is a risk of rain (Giordana silver line windslam is more versatile in that regard). With a good base layer, wearing this in that cold weather would be suitable. I can confirm that the Assos sizing is generally a tight or snug fit and large would be the better option for yourself.